One of the most interesting projects that Motorola had is modular phones. 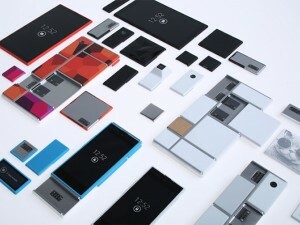 The project Ara works in the production of these devices, which have interchangeable parts and are fully customizable. Google did not sell that project with Motorola and has continued to work on it. Last week, the company presented a video showing for the first time the aspect that these devices will have and the details of its development. The initial idea is an endoskeleton that holds the different modules, called “endo” (RAM, processor, memory, camera, etc. . ). They are initially working with three sizes of devices, one mini (iPhone size), one medium (slightly larger than the previous one) and a one larger, tablet size. The modules fit magnetically into the endoskeleton base and are very easy to place and remove. Moreover, the components are completely interchangeable between the different bases, so we could vary the size of our device depending on our current needs. For example, we could change the smartphone to tablet by simply changing the modules from one endoskeleton to the other. Google has stated that the idea is to offer the modules at an affordable price. They will have their own store of modules, but other manufacturers may also distribute their own. This is a key point, and that for the project to succeed, the total price of the device cannot be too high. When Motorola announced it was working on this modular project, it sounded like a thing we might see in a future, but it appears to be much closer than we initially imagined. Maybe we will be buying a mobile choosing the exact components we need. Or even better, being able to replace a module without having to change the entire phone. You can find more information at Android Project Ara new website.